hennemusic hennemusic: Red Hot Chili Peppers issue new song for Super Bowl? 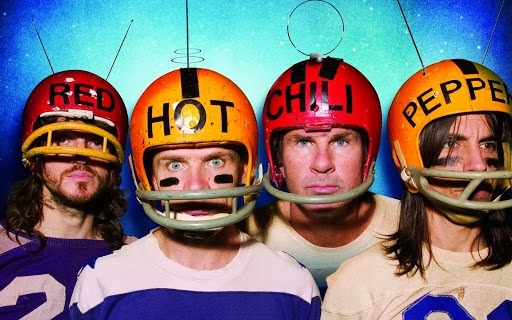 The Red Hot Chili Peppers appeared to have released a new song online in advance of their guest spot with Bruno Mars at the halftime show at Super Bowl 48 in New Jersey on Sunday. The website RHCP2014.com features the band’s logo and a free download of a new song entitled "Abracadabralifornia." Rolling Stone reports the note-perfect parody was the brainchild of comedian Jon Daly and Cyrus Ghahremani, frontman for Los Angeles power-pop band Hot Karate. The roots of the song go back to a 2013 episode of humor podcast Comedy Bang Bang, where Daly and friend Zach Galifianakis expounded on their love of the group. "We're huge Pepperman," Daly said over Galifianakis' snickers. "It's a fan club. We've got a theme song." Daly proceeded to sing the song's hook in a dead-on Anthony Kiedis imitation.